Brown rats have acute hearing, are sensitive to ultrasound, and possess a very highly developed sense of smell. The vision of a typical rat is poor, around 20/600. Rats perceive colors similar to colorblind humans, their blue perception, however, also has UV receptors, allowing them to see ultraviolet lights that some species cannot. Rats are considered omnivores and eat a wide range of foods, including seeds, fruit, stems, leaves, fungi, and a variety of invertebrates and vertebrates. They are not very specific in their food preferences, which is indicated by their tendency to feed on any meal provided for cows, swine, chickens, cats, and dogs. 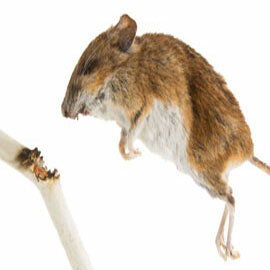 Rats breed rapidly and can easily take over a structure in a matter of weeks. 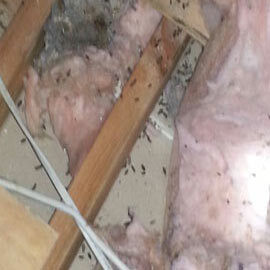 They destroy insulation and wiring to create their nests and contaminate food sources in your home to feed their young. Rats also spread disease through their feces and urine and can bring other unwanted pests to your home like fleas, mites and bed bugs. 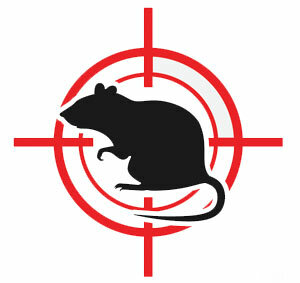 It is important to exterminate rats as soon as you detect them, to prevent a colony from establishing in your home or business. Rats leave droppings and urine everywhere they go. In your attic, kitchen and even in your food! We'll kill your rats and keep them from coming back. Rats chew on just about everything. Most of the time, this means wires, insulation and pipes. Don't wait for a fire or flood to happen, call us to get rid of them. Rats use exisiting holes or make their own to get inside. 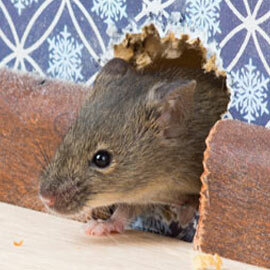 Rats enter through holes the size of a quarter, while mice squeeze through holes the size of a dime. One of the most common signs of a rat population is hearing them. Scratching, squealing, squeaking or grinding sounds are a good reason to give us a call. Get Rid Of Your Rats Today!